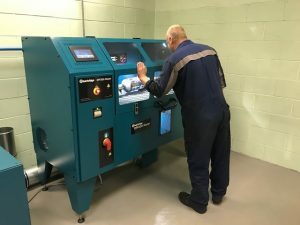 Feather Diesel Services (FDS) are now authorised by Hartridge UK and FSX America to test and clean DPF units fitted to car/van/truck/bus/off-highway vehicles. Modern diesel vehicles, by law, are now fitted with a DPF in the exhaust system to stop harmful particulates passing into the atmosphere. Over time however, these can become blocked leading to warning lights on the dashboard and/or reduced performance. If a forced regeneration (on the vehicle) fails to clear the DPF and remove the dashboard light it may be time to remove the DPF unit for analysis. At this point please contact Feather Diesel to discuss cleaning options. 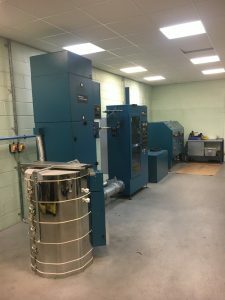 In order to meet the highest environmental standards, our cleaning process primarily uses compressed air and a specialist DPF kiln. 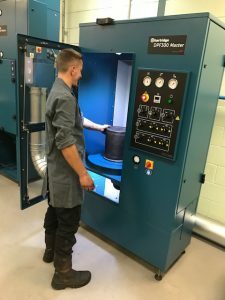 Our experience tells us that regular service cleaning of your DPF unit could save you £thousands on replacement costs and vehicle downtime. Don’t just take our word that we have a great machine, OE customers around the world including Volvo, Cummins and Paccar (DAF) suggest you use it too! Click here to find out more. To discuss any of the above symptoms please speak with one of our Garage Technicians.